Usage of a advanced starter will ensure that your motors operate efficiently and will provide economic benefits, as your company will find the life of its equipment has been extended. Electric starters represent the evolution of industrial electric distribution application. A starter controls the use of electrical power to equipment by installing a motor. The starter can not only start electrical equipment, but also stop it. A motor starter provides overload protection by preventing motors from drawing too much current, overheating, and from burning out. 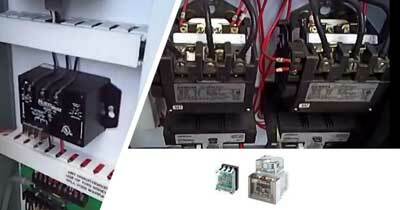 In industrial usage there have been two types of starters used: manual starters and AC magnetic motor starters. In the operation of a manual starter a button or toggle is pressed which forces open or closed the mechanical linkages that start or stop the motor. While this process is simpler and straightforward, it results in increased machine wear through rapid acceleration. Another dangerous situation that manual starters pose is they are unable to provide low voltage protection. When a power outage or failure occurs, and the manual starter has not been switched into the “off” position, when the power is restored the motor will automatically restart itself. AC Magnetic starters are electromagnetically-operated starters which resolve the problem of equipment damage by controlling the acceleration and deceleration phases of operation the advanced features of AC Magnetic starters provide under-voltage and overload protection and an automatic cutoff in the event of a power failure. Usage of this advanced starter will ensure that your motors operate efficiently and will provide economic benefits, as your company will find the life of its equipment has been extended. 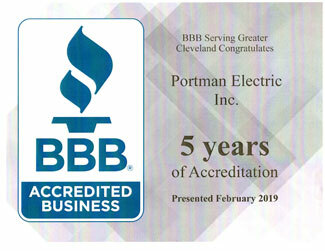 AC Magnetic starters have advanced control features, which allow the professional licensed industrial electricians at Portman, Inc. to design a motor starter in Cleveland and Northeast Ohio, with the flexible range of motor controls and protection to fit your company’s constant-speed application needs.